Tour Type: Group tour or private tour. 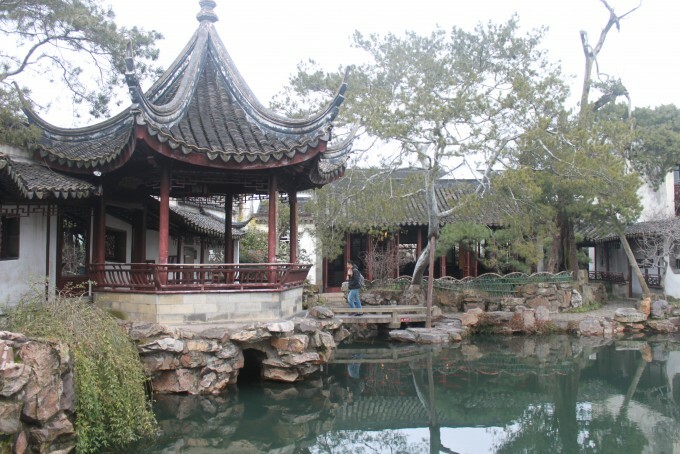 Suzhou is one of the oldest towns in the Yangtze basin, founded in about 600 BC. With its interconnected waterways and beautiful environment, the city is often referred to as "The Venice of the East." 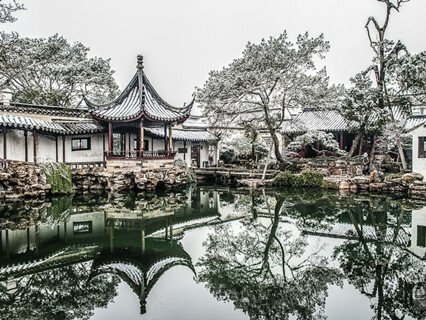 Suzhou was one of the few cities in China to escape the ravages of the cultural revolution and its famous gardens survived almost completely intact. 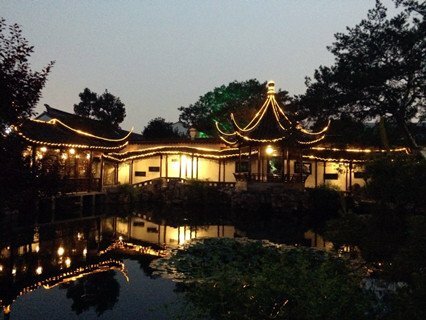 1）Pick up at your Shanghai hotel between 8:00am and 8:30am, and then driving about 2 hours to Suzhou. 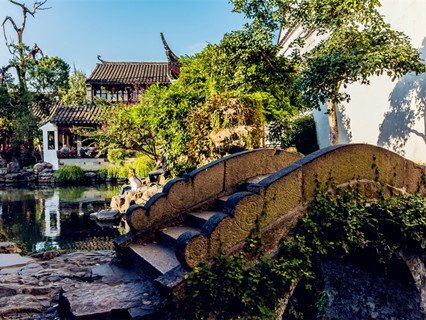 2）Upon arrival in Suzhou, the first stop is Net Master Garden, the best and most celebrated as a model Ming Dynasty Garden in all of Suzhou. 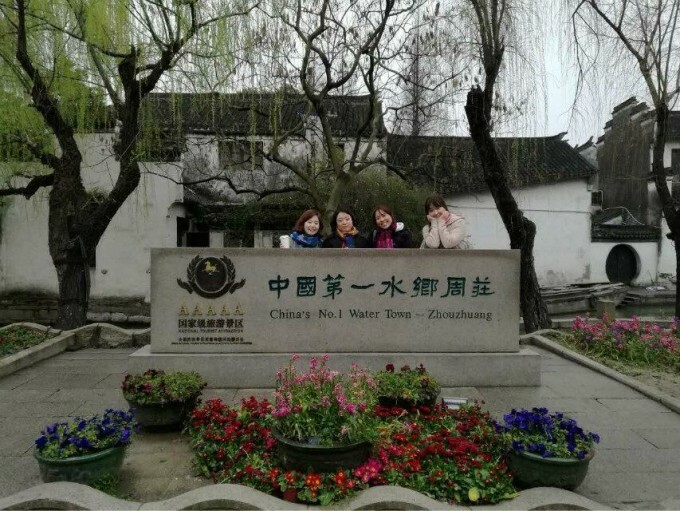 Then it’s onto view the Ancient City Gate and Grand Canal, and visit silk spinning factory to see how Chinese silk has been produced since the 14the century. 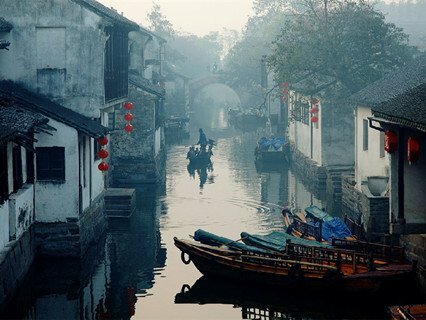 3）After lunch visit the water town of Zhouzhuang and board a Chinese-style gondola to cruise the waterways of the city. 4）Transferred back to your Shanghai hotel. 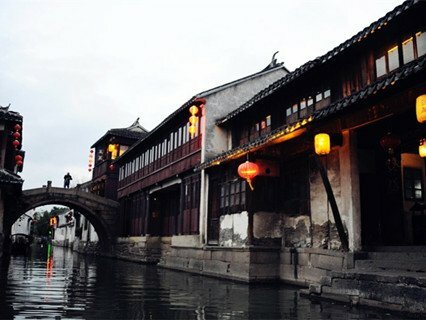 Entitled as the " Garden City" or "Oriental Venice", one day Suzhou and Zhouzhuang tour are the best way to appreciate these two picturesque water towns. 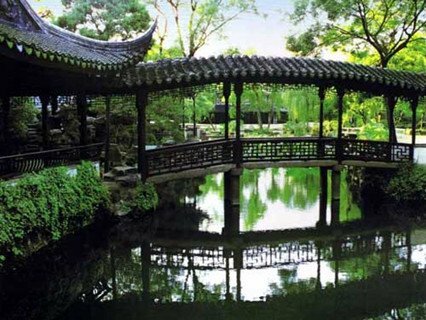 First of all, visit the Net Master Garden, which is the famous garden survived from the Song Dynasty, the Metropolitan Museum in New York even made a copy of this garden named "Ming Xuan". Afterwards continue to visit Panmen and ancient city wall, after lunch stop over the silk mill where you can leam thewhole process of silk breeding to cocoon weaving. 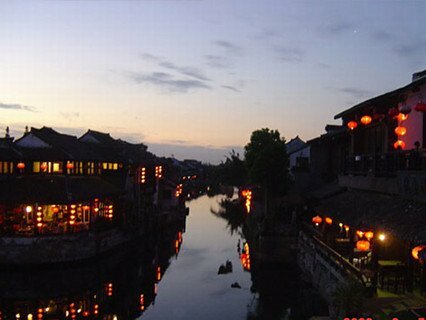 In the aftemoon, drive to Zhouzhuang which is well known for its peaceful environment and old architectures. A boat ride is highly recommended (Optional), which is the most relaxing way to experience this water village, meanwhile, if you are lucky enough, you can also ask the boatwomen.to sing some local songs, but of course don't forget to offer some gratitude. 1.Travellers will receive a message about their tour arrangement while taking the check-in procedure at hotel front desk. 2.We will contact with travelers in the evening before the tour to confirm pick-up time in the next morning. Wonderful one day tour. 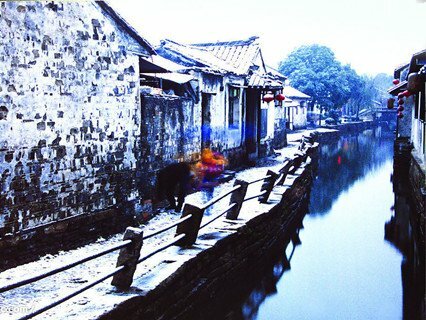 more..
Zhouzhuang,this is really a nice place. I'm very pleased with the tour. more.. 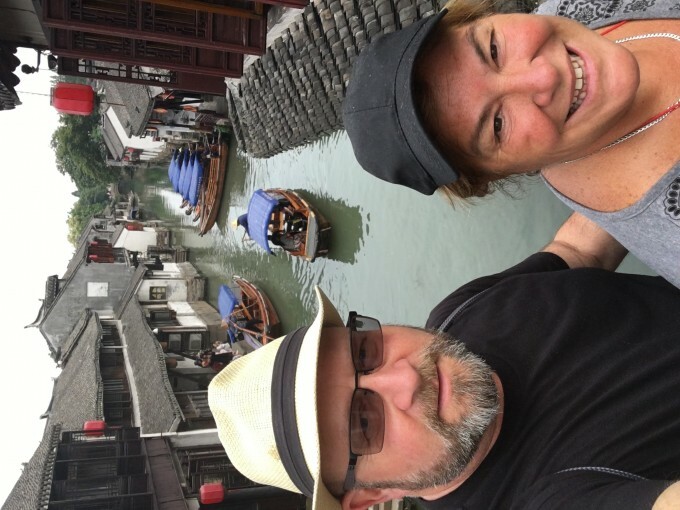 I had a lovely private day tour of Suzhou and Zhouzhuang with my guide Johnny. He rang me at my hotel to confirm the tour the night prior, and came to collect me at the hotel on time, on the day. He was very pleasant and shared lots of information about the history, traditions, and the life of people in these more..